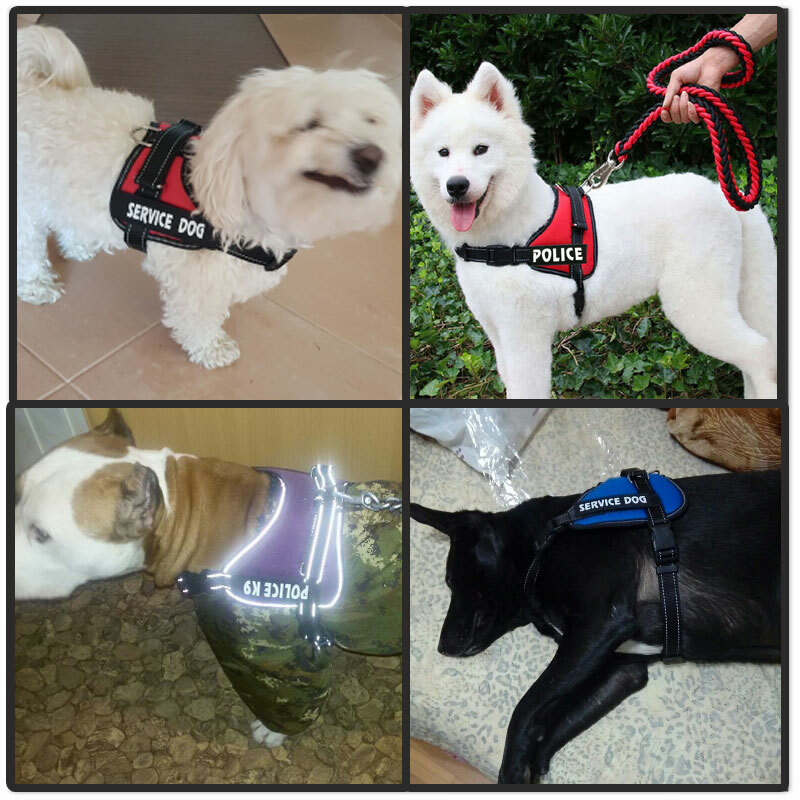 A Service Dog Harness is perfect for training dogs who work in therapy, medical alert, law enforcement and many other service fields. It’s lightweight, made of breathable materials and features a quick release buckle that makes it easy to put on and take off. Plus, the sturdy steel D-ring at the top provides durability and strength so it stands up to all activities. It’s best to measure your pup for proper sizing and a comfortable fit. We also carry Service patch set. Both sides of the harness have removable reflective patches. The bottom of the harness is made of neoprene for added reinforcement and comfort to guard against abrasions. Made with a reflective strip on the front chest strap and trim of harness to provide safety for both dog and pet parent. Adjustable straps allow you to give your pup a premium and custom fit with an easy snap buckle. The harness is made with a nylon control handle and a welded D-ring to easily attach any leash.